Joints naturally decline with activity and age. 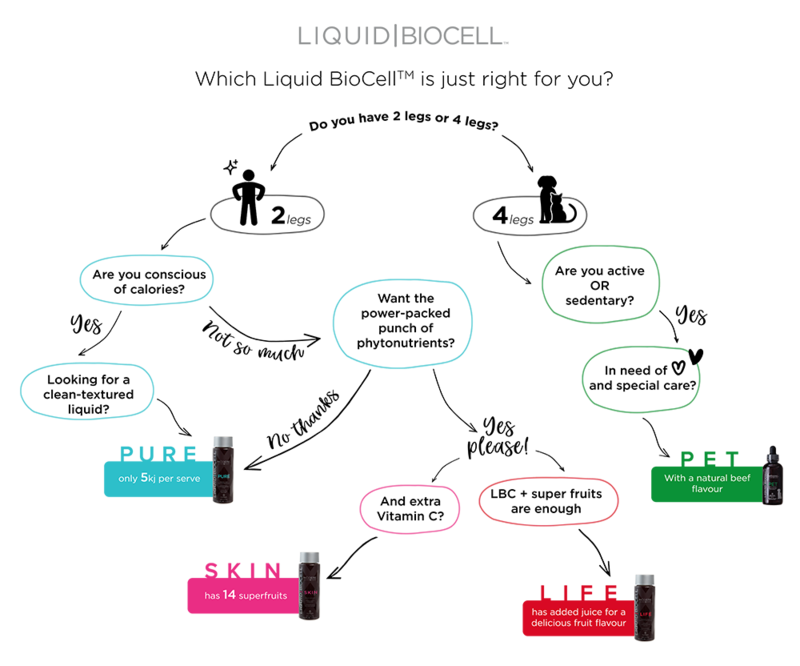 Liquid BioCell® LIFE nourishes and supports active and ageing joints and has the added benefit of 10 potent, phytonutrient- rich superfoods to enhance wellbeing. Purified water, apple juice concentrate, grape juice concentrate, hydrolyzed collagen type II (from chicken, 3.5%: contains hydrolyzed collagen 60%, chondroitin sulfate 20%, hyaluronic acid 10%), sweetener (crystalline fructose), strawberry juice concentrate, mangosteen extract, mangosteen whole fruit powder, acidity regulator (citric acid), colour (fruit and vegetable juice), cranberry juice concentrate, maltodextrin, ascorbic acid, blueberry juice concentrate, thickener (pectin), natural flavours, acidity regulator (sodium citrate), acai berry extract, pomegranate fruit juice powder, preservative (potassium sorbate), thickener (xanthan gum), noni fruit powder, maqui berry powder, cassava starch.